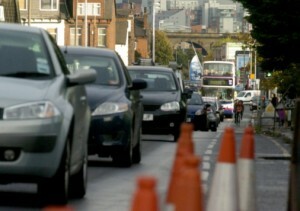 Daily Ride – How could data make your commute better in Leeds? Personal transportation, and especially commuting, has always been challenging in Leeds due to the lack of a comprehensive mass transit system. We at Daily Ride believe that data and software have the power to solve this daily problem and are looking forward to sharing with you how we approached this particular case in Leeds. Commuting isn’t always a straightforward or an enjoyable experience, but it’s gotta be done. Daily Ride was developed to make your daily trek to work better – no more rush hour tailbacks, no more jam-packed trains, and no more temperamental buses – with the alternative of carpooling. We have already been working with some statistical data to find patterns in commuting to better inform our service, and create a top-notch experience for their users. We would love some input from the community. Digital, transport, social, whatever your background – if you are interested in data and commuting and would like to find out more, pop along to this evening talk for a chance to chat and make connections. We invite you to join us at the ODI Leeds in the beautiful Munro house for an interesting evening showcasing how data and software can create simple, effective solutions to some of the biggest problems of our time. There will be free refreshments and snacks.